HOW ABOUT THAT FIRST DANCE? WHY SHOULD WE DO A FIRST DANCE? The wedding dance can be such a highlight for everyone but only if the couple are enjoying themselves. For many couples, an absence of dance experience and a fear of stumbling in front of your guests, is enough to call off this part of the day. For those couples who go for it they can be rewarded with a precious memory to round off the happiest occasion. WHAT SHOULD WE DO? The answer is simple – do what feels right for the two of you. Basic steps to a good song choice can often be more effective than a show-stopping piece of choreography. From a basic shuffle round the floor to an unexpected and entertaining routine – these days anything goes. With a bit of preparation all couples can avoid an uncomfortable rock from side to side in favour of something less awkward and more enjoyable – often a new skill that they will use again on other occasions. WHO CAN HELP? A private lesson with a professional teacher as soon as possible is often the best start. A regular dance class is often aimed at general social dancers and may not be specific enough to suit your requirements. An experienced teacher can offer a multitude of advice for all levels of experience, as well as helping you achieve the confidence you need for success. Sometimes all you need is a helping hand to take a step in the right direction. WHERE DO WE BEGIN? If you have chosen an important song for your first dance then your teacher can choreograph a basic routine for you that can be embellished as much or as little as you like. Alternatively, you may wish to learn a certain style first such as the Waltz, a Social Foxtrot or even an upbeat Salsa – and then take advice to an appropriate song choice. Either way, your first session is usually about getting you to move together to music and then take it from there! WHEN SHOULD WE START? 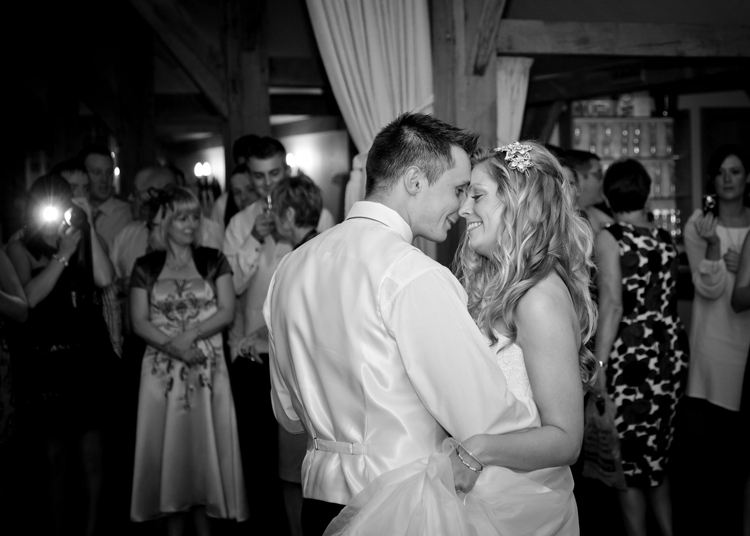 Regardless of what form your first dance will take, it is advisable to begin as soon as you can. After one session you can usually gauge for yourselves how many lessons you think you will need. One or two sessions may be adequate to give you confidence with the basics. If you desire to attempt something more accomplished and polished then an early start guarantees enough time to fit practice time in before that big day.